Paul J. Sheffield, PhD (Publications 1965-2015) – International ATMO, Inc.
Sheffield PJ, 1965. Report From Our Doctors. TAC Talk 8(7): 18. Sheffield PJ, 1967, What Goes Up Must Come Down. March Flying Safety Kit, Langley AFB VA, p 6. Sheffield PJ, 1967. Military Customs and Courtesies for Medical Officers. 4500 USAF Hospital Langley Instructional Pamphlet, Langley AFB VA.
Hoyt C, Sheffield PJ, 1968. SCUBA and You. TAC Attack, HQ TAC/SEP, Langley AFB VA, pp 16-17. Sheffield PJ, 1968. Happy New Year! February Flying Safety Kit, Langley AFB VA, pp 9-10. Sheffield PJ, 1968. What’s Your Physiologic I.Q.? February Flying Safety Kit, Langley AFB VA, pp12-13. Sheffield PJ, 1971. Effects of 100 Per Cent Oxygen on the Pulmonary Surfactant of Mice at 27,000 Feet Altitude for up to 149 Days. MS Thesis, Univ of So Calif, Los Angeles, CA. Reid D, Sheffield PJ, 1974. Aerospace Physiology and the Aerospace Physiologist. Aerospace Medicine 45, (1): 110. Sheffield PJ, Williams JL, 1974. A prototype Kit for Medical Teams Engaged in Aircraft Accident Investigation. Proceedings 12th Annual SAFE Conference and Trade Exhibit, Las Vegas, NV, Sept 1974. Sheffield PJ, 1975. Effects of Long-Term Exposure to 100% Oxygen at Selected Simulated Altitudes on the Pulmonary Surfactant in Mice. Aviat, Space and Environ Med, 46 (1): 6-10. Garrett L, Sheffield PJ, 1975. Hyperbaric Therapy, USAFSAM Pamphlet. USAF School of Aerospace Medicine, Brooks AFB, TX. , 1976. Acceleration, In: AFP 160 5, Physiological Training, Ch. 6. Department of the Air Force, HQ USAF, Washington DC, pp 6-1 – 6-12.
, 1976. Management of Altitude Chamber Reactors, In: AFP 160 5, Physiological Training, Ch. 17. Department of the Air Force, HQ USAF, Washington DC, pp 17-1 – 17-6. Sheffield PJ, Davis JC, 1976. Application of Hyperbaric Oxygen Therapy in a Case of Prolonged Cerebral Hypoxia Following Rapid Decompression. Aviat, Space and Environ Med 47 (7): 759-762. Davis JC, Schuknecht L, Heimbach RD, Dunn JM, Sheffield PJ, Bassett BE, Douglas G, Anderson GK, 1976. Altitude Decompression Sickness: Recognition and Hyperbaric Treatment Results in 130 Cases. 47th Annual Scientific Meeting Proceedings, Aerospace Medical Association, Miami, FL, May 1976. pp. 128-9 (abstract). Sheffield PJ, Stork RL, Morgan TR, 1976. Efficiency of the Patient Oxygen Mask Delivery System at the USAF Hyperbaric Center, Proceedings 14th Annual SAFE Conference and Trade Exhibit, San Diego, CA. Sept 1976, pp. 12-14. Davis JC, Sheffield PJ, 1976. Hyperbaric Oxygen Therapy. Medical Service Digest 27 (5) 5-11. Sheffield PJ, 1977. Critical Issues Affecting US Security. A Research Report Submitted to the Faculty of the Air War College Associate Programs Division, Maxwell AFB AL. Sheffield PJ, Stork RL, Morgan TR, 1977. Efficient Oxygen Mask for Patients Undergoing Hyperbaric Oxygen Therapy. Aviat, Space and Environ Med 48 (2):132-7. Sheffield PJ, Cutrona CJ, Davis JC, 1977. Design Considerations for a Clinical Hyperbaric Facility. USAFSAM Report of the Air Force Surgeon General, 31 January 1977. Davis JC, Sheffield PJ, 1977. Hyperbaric Oxygen Therapy. The Unbender II (1) 10-13. Sheffield PJ, Davis JC, Cutrona CJ, 1977. Fabrication and Design Considerations for a Multiplace Clinical Hyperbaric Facility. SAMTR77-7, USAF Sch of Aerospace Medicine, Brooks AFB TX. Sheffield PJ, 1977. A Polarographic Technique for Continuous Tissue Oxygen Monitoring During Hyperbaric Oxygen Therapy. 1977 Scientific Program Preprints, Aerospace Medical Association, Las Vegas NV. May 1977, p.6 (abstract). Sheffield PJ, 1977. Air Decompression Tables for Compression Chamber Operations at 7,000 Feet Altitude. USAFSAM Report for the Peterson AFB Hyperbaric Facility, 28 February 1977. Davis JC, Sheffield PJ, Schuknecht L, Heimbach RD, Dunn JM, Douglas G, Anderson GK, 1977. Altitude Decompression Sickness: Hyperbaric Therapy Results in 145 Cases. Aviat, Space and Environ Med 44 (8): 722-730. Sheffield PJ, 1977. Military Strategy for General War. A research report submitted to the Faculty of the Air War College Associate Programs Division, Air University, Maxwell AFB, AL. Sheffield PJ, 1978. Arms Limitations and U.S. Security. A research report submitted to the Faculty of the National Defense University, Washington, DC. Sheffield PJ, Davis JC, Bell GC, Gallagher TJ, 1978. Hyperbaric Chamber Clinical Support (Multiplace) In: Hyperbaric Oxygen Therapy, Davis JC and Hunt TK (eds. ), Bethesda: The Undersea Medical Society, pp. 25-39. Hamilton RW Jr, Sheffield PJ, 1978. Hyperbaric Chamber Safety. In: Hyperbaric Oxygen Therapy, Davis JC and Hunt TK (eds. ), Bethesda, MD: The Undersea Medical Society, pp 47-60. Sheffield PJ, Dunn JM, McIver RG, 1978. Altitude Decompression Sickness Incidence Among US Air Force Academy Cadets, Special Study Group Report, USAFSAM, Brooks AFB, TX. Sheffield PJ, Dunn JM, 1979. Continuous Monitoring of Tissue Oxygen Tension During Hyperbaric Oxygen Therapy: A Preliminary Report. In: Proceedings of the Sixth International Congress on Hyperbaric Medicine. G. Smith, (ed), Aberdeen; Aberdeen University Press, pp. 125-129. Sheffield PJ, Heimbach RD, 1979. The Physician and Chamber Safety, In: Hyperbaric and Undersea Medicine, Davis JC, (ed. ), San Antonio, TX; Medical Seminars, pp. 1-7. Davolt, DA, Sheffield PJ, 1980. Aerospace Technological Spin-offs Applied to Hyperbaric Medicine, Proceedings 18th Annual SAFE Conference and Trade Exhibit, San Diego, CA, Oct 1980, pp. 35-37. Matos LA, Howard JM, Sheffield PJ, LaHood GA, 1982. Recognition and Medical Management of Decompression Sickness. Medical Service Digest XXXIII (5): 1-4. ___, 1983. Physiological Basis of Hyperbaric Therapy. In: AFP 161-27, Hyperbaric (Compression) Chamber Operations, Chap 5, Department of the Air Force, HQ USAF, Wash DC, pp 28-37. ___, 1983. Hyperbaric Chamber Safety. In: AFP 161-27, Hyperbaric (Compression) Chamber Operations, Chap 13. Department of the Air Force, HQ USAF, Wash DC, pp 100-103. ___, 1983. Management of Mechanical and Medical Emergencies During Hyperbaric Chamber Operations, In: AFP 161-27, Hyperbaric (Compression) Chamber Operation, Chap 16, Department of the Air Force, HQ USAF, Wash DC, pp 123-129. Sheffield PJ, Piwinski SE, 1983. Hyperbaric Chamber Equipment: A Consolidated Equipment List From Selected Multiplace Hyperbaric Facilities, USAFSAM TR 83-34, USAF School of Aerospace Medicine, Brooks AFB, TX. Sheffield PJ, Workman WT, 1983. Transcutaneous Tissue Oxygen Monitoring in Patients Undergoing Hyperbaric Oxygen Therapy. In: Continuous Transcutaneous Blood Gas Monitoring. R. Huch and A. Huch (eds. ), New York: Marcel Dekker, pp 667-672. Workman WT, Sheffield PJ, 1983. Continuous Transcutaneous Oxygen Monitoring in Smokers Under Normobaric and Hyperbaric Oxygen Conditions. In: Continuous Transcutaneous Blood Gas Monitoring. R Huch, A Huch (eds. ), New York: Marcel Dekker, pp 649-656. Sheffield PJ, 1984. Safety Considerations: Equipment and Procedures (Multiplace Treatment Chambers). In: CW Shilling, CB Carlston, RA Mathias (eds. ), The Physician’s Guide to Diving Medicine, Bethesda, MD: The Undersea Medical Society. pp 601-621. Sheffield PJ, 1984. Tissue Oxygen Measurements with Respect to Soft Tissue Wound Healing with Normobaric and Hyperbaric Oxygen Treatments. In: Oxygen: An In-Depth Study of Its Pathophysiology. SF Gottlieb, IS Longmuir, JR Totter (eds. ), Bethesda, MD: The Undersea Medical Society, pp 241-277. Sheffield PJ, Workman WT, 1984. Noninvasive Tissue Oxygen Measurements in Patients Administered Normobaric and Hyperbaric Oxygen by Mask. In: Oxygen: An In-Depth Study of Its Pathophysiology. SF Gottlieb, IS Longmuir, JR Totter, (eds. ), Bethesda, MD: The Undersea Medical Society, pp 279-306. Sheffield PJ, Heimbach RD, 1985. Respiratory Physiology, Ch 5, In: Fundamentals of Aerospace Medicine, RL DeHart, (ed. ), Philadelphia, PA; Lea and Febiger, pp 72-109. Heimbach RD, Sheffield PJ, 1985. Protection in the Pressure Environment: Cabin Pressurization and Oxygen Equipment. Ch 6, In: Fundamentals of Aerospace Medicine, RL DeHart (ed. ), Philadelphia, PA: Lea and Febiger, pp 110-131. Heimbach RD, Sheffield PJ, 1985. Decompression Sickness and Pulmonary Overpressure Accidents. Ch 7, In: Fundamentals of Aerospace Medicine, RL DeHart (ed. ), Philadelphia, PA: Lea and Febiger, pp 132-161. Sheffield PJ, 1985. Tissue Oxygen Measurement with Respect to Soft Tissue Wound Healing with Normobaric and Hyperbaric Oxygen. Hyperbaric Oxygen Review 6(1): 18-46. Sheffield PJ, WT Workman, 1985. Noninvasive Tissue Oxygen Measurements in Patients Administered Normobaric and Hyperbaric Oxygen by Mask. Hyperbaric Oxygen Review 6 (1): 47-62. Sheffield PJ, 1988. Tissue Oxygen Measurements. In: Problem Wounds: The Role of Oxygen, JC Davis, TK Hunt (eds. ), New York, NY: Elsevier, pp 17-51. Wallace SG, Sheffield PJ, 1988. From Task Analysis to Lesson Plan: An Application of Computer Micros. Journal of Educational Technology Systems 16(1); 57-64. Sheffield PJ, Cramer FS, 1988. Altitude Decompression Sickness, In: Case Histories of Diving and Hyperbaric Accidents, CL Waite (ed. ), Bethesda; MD: Undersea & Hyperbaric Medical Society. pp 31-50. Sheffield PJ, 1989. Flying After Diving (chairman and editor). Proceedings of 39th UHMS Workshop. Bethesda, MD: Undersea and Hyperbaric Medical Society. Sheffield PJ, 1989. Aerospace Physiology 2000; Report to the Surgeon General. Bolling AFB DC: Department of the Air Force. Sheffield PJ, 1989. Air Force Aerospace Physiology Program Newsletter 106, December 1989. Bolling AFB DC: Department of the Air Force. Sheffield PJ, 1990. Flying After Diving Guidelines: A Review. Aviat, Space, and Environ Med 61:1130-8. Sheffield PJ, 1990. Air Force Aerospace Physiology Program Newsletter 107, June 1990. Bolling AFB DC: Department of the Air Force. Sheffield PJ, Stork RL, 1990. Air Force Aerospace Physiology: A Touch of History. Aviat, Space and Environ Med 61(2): 194-5. Sheffield PJ, 1990. Flying after Diving Recommendation for Recreational Divers. Aviat, Space and Environ Med 61: 493 (Abstract). Sheffield PJ, 1990. Air Force Aerospace Physiology Program Newsletter 108, December 1990. Bolling AFB DC: Department of the Air Force. Sheffield PJ, 1991. President’s Message. Pressure 20(1): 5. Sheffield PJ, 1991. President’s Message. Pressure 20(2): 6. Sheffield PJ, 1991. President’s Message. Pressure 20(3): 5. Sheffield PJ, 1991. Air Force Aerospace Physiology Program Newsletter 109, June 1991. Bolling AFB DC: Department of the Air Force. Sheffield PJ, 1991. Air Force Aerospace Physiology Program Newsletter 110, December 1991. Bolling AFB DC: Department of the Air Force. Sheffield PJ, 1992. Air Force Aerospace Physiology Program Newsletter 111, June 1992. Bolling AFB DC: Department of the Air Force. Workman WT, Sheffield PJ, 1992. The Importance of Hyperbaric Oxygen Therapy in the Management of Altitude Decompression Sickness. In: Altitude Decompression Sickness Workshop Proceedings, A Pilmanis (ed),. Brooks AFB TX: USAF School of Aerospace Medicine, pp 187-203. Sheffield PJ 1994. Early Life in Old Chicora. Polk County Historical Quarterly 21(1): 4-5. Sheffield PJ, 1994. Design Considerations for Future Hyperbaric Chamber Systems: A Hyperbaric Facilities 2000 Working Panel Report. In: JR Maison & J van Loon (eds), Rectangular Concrete Pressure Vessels For Human Occupancy (RCPVHO) For Hyperbaric Medical Treatment, AL/AO-TR-1994-0027, Brooks AFB TX: Aerospace Medicine Directorate, Hyperbaric Medicine Division. Feldmeier JJ, Heimbach RD, Davolt DA, Brakora MJ, Sheffield PJ, Porter AT, 1994. Does Hyperbaric Oxygen Have a Cancer-causing or -Promoting Effect: a Review of the Pertinent Literature. Undersea Hyperb Med 21(4): 467-475. Sheffield PJ, 1995. Pressure Ranges Causing Physiological Problems. Pressure 24(4): 11. Sheffield PJ, 1995. UHMS Physician Continuing Medical Education Program Guidebook, 2nd Ed, Kensington, MD: Undersea and Hyperbaric Medical Society. Brakora MJ, Sheffield PJ, 1995. Hyperbaric Oxygen Therapy for Diabetic Wounds. In: LB Harkless, LA Lavery, KJ Dennis, (eds), Clinics in Podiatric Medicine and Surgery: the Diabetic Foot, Philadelphia, PA: WB Saunders 12(1): 105-117. Feldmeier JJ, Heimbach RD, Davolt DA, Court WS, Stegmann BJ, Sheffield PJ, 1995. Hyperbaric Oxygen as an Adjunctive Treatment for Delayed Radiation Injury of the Chest Wall: A Retrospective Review of Twenty-Three Cases. Undersea Hyperb Med 22(4): 383-393. Feldmeier JJ, Heimbach RD, Davolt DA, Court WS, Stegmann BJ, Sheffield PJ, 1996. Hyperbaric Oxygen as Adjunctive Treatment for Delayed Radiation Injuries of the Abdomen and Pelvis. Undersea Hyperb Med 23(4): 205-213. Sheffield PJ, 1995. Acrylic Window Longevity In Clinical Hyperbaric Chambers. Pressure 24(5): 9-10. Moon RE, Sheffield PJ, 1996. Treatment of Decompression Illness (co-chairmen and editors). UHMS 45th Workshop Report. Kensington, MD: Undersea and Hyperbaric Medical Society. Sheffield PJ, Heimbach RD, 1996. Respiratory Physiology. In: Fundamentals of Aerospace Medicine, 2nd Edition, RL DeHart (ed. ), Philadelphia, PA: Williams & Wilkins, pp 69-108. Sheffield PJ, Stork RL, 1996. Protection in the Pressure Environment: Cabin Pressurization and Oxygen Equipment. In: Fundamentals of Aerospace Medicine, 2nd Ed, RL DeHart (ed), Philadelphia, PA: Williams & Wilkins, pp 109-130. Heimbach, RD, Sheffield PJ, 1996. Decompression Sickness & Pulmonary Overpressure Accidents. In: Fundamentals of Aerospace Medicine, 2nd Ed, RL DeHart (ed), Philadelphia, PA: Williams & Wilkins, pp 131- 162. Moon RE, Sheffield PJ, 1997. Guidelines for Treatment of Decompression Illness. Aviat, Space and Environ Med 68:234-245. Curr RL, Sheffield PJ, 1997. Technical Aspects of Hyperbaric Chamber Safety 2nd Annual Seminar Held in San Antonio 21-22 Mar, Pressure 26(4): 4-5. Sheffield PJ, Desautels DA, 1997. Hyperbaric & Hypobaric Chamber Fires: A 73-Year Analysis. Undersea Hyperb Med 24(3): 153-164. Sheffield PJ, 1998. UHMS Physician Continuing Medical Education Guidebook, 3rd Ed, Kensington, MD: Undersea and Hyperbaric Medical Society. Sheffield PJ, 1998. 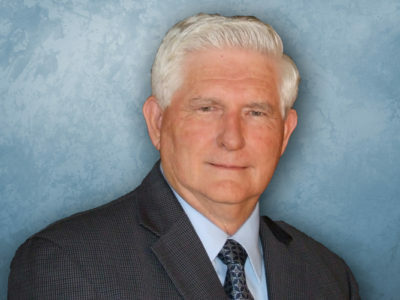 William P Fife, PhD, CHT Profile. Pressure 27(2): 7-8. Sheffield PJ, 1998. Physician Continuing Medical Education (CME) Guidebook is Revised. Pressure 27(3): 6-8. Sheffield PJ, 1998. Measuring Tissue Oxygen. Proceedings of the 1st European Workshop on Hyperbaric Medicine. Belgrade, YU: University of Belgrade, April 30- May 3, 1998. Sheffield PJ, 1998. Measuring Tissue Oxygen: A Review. Undersea and Hyperbaric Medicine, 25(3): 179-188. Sheffield PJ, Desautels DA, Workman WT, Sheffield RB, 1998. Hyperbaric Chamber Fires: An Update. Proceedings of UHMS Annual Scientific Meeting, p 26 (Abstract 64). Sheffield PJ, 1998. Medical Practice at the Jefferson C. Davis Wound Care and Hyperbaric Medicine Center, San Antonio, Texas, In: 1. Hrvatski Kongres Pomorske, Podvodne I Hiperbaricne Medicine, Zbornik (Proceedings of the 1stt Croatian Congress of Maritime, Undersea, and Hyperbaric Medicine), Petri NM, Andric D, Ropac D (eds) Split, Croatia: Institut Pomorske Medicine Hrvatske Ratne Mornarice, pp 269-270. Sheffield PJ, 1998. Hyperbaric chamber fires, In: 1. Hrvatski Kongres Pomorske, Podvodne I Hiperbaricne Medicine, Zbornik (Proceedings of the 1stt Croatian Congress of Maritime, Undersea, and Hyperbaric Medicine), Petri NM, Andric D, Ropac D (eds) Split, Croatia: Institut Pomorske Medicine Hrvatske Ratne Mornarice, pp 271-274. Sheffield PJ, 1998. Measuring tissue oxygen tension, In: 1. Hrvatski Kongres Pomorske, Podvodne I Hiperbaricne Medicine, Zbornik (Proceedings of the 1stt Croatian Congress of Maritime, Undersea, and Hyperbaric Medicine), Petri NM, Andric D, Ropac D (eds) Split, Croatia: Institut Pomorske Medicine Hrvatske Ratne Mornarice, pp 275-282. Sheffield PJ, 1998. Hyperbaric Oxygen Treatment Of Problem Wounds, In: Proceedings of the 2nd Lubecker HBO Workshop, Lubeck, Germany: Druckkammer Therapiezentrum Hyper ST, pp 1-9. Sheffield PJ, 1998. UHMS Designated Introductory Course in Hyperbaric Medicine, Pressure 27(6): 1-2,5. Sheffield PJ, 1999. Hyperbaric Chamber Fires: To What Extent Is The Problem. In: Hyperbaric Facility Safety: A Practical Guide. WT Workman (ed), Flagstaff, AZ: Best Publishing, 487-494. Sheffield PJ, Pirone CJ, 1999. Decompression Sickness In Inside Attendants. In: Hyperbaric Facility Safety: A Practical Guide. WT Workman (ed), Flagstaff, AZ: Best Publishing, 643-664. Sheffield PJ, 1999. Letter to the Editor, UHMS Designated Introductory Course in Hyperbaric Medicine, Pressure 28(2): 2-3. Sheffield PJ, Bertoldo RN, Kalns JE, Krock LP, Wolf EG, Stegmann BJ, Hart KN, Davolt DA, 1999. Are Tcpo2 Values Related To Functional Outcome In HBO2 Treatment Of Chronic Diabetic Forefoot Wounds. Undersea Hyper Med 26 (1999 supplement): 36 (Abstract). Sheffield PJ, 1999. American Market: Monoplace and Multiplace Chambers. Precourse to the 7th Annual HTNA Scientific Meeting on Diving and Hyperbaric Medicine, Adelaide Australia, 26-29 August 1999. Sheffield PJ, 1999. Flying After Diving. Proceedings of 7th Annual HTNA Scientific Meeting on Diving & Hyperbaric Medicine, Adelaide Australia, 26-29 August 1999, 44-45. Sheffield PJ, 1999. Fire in Hyperbaric Chambers. Proceedings of the 7th Annual HTNA Scientific Meeting on Diving and Hyperbaric Medicine, Adelaide Australia, 26-29 August 1999, pp 34-35. Sheffield PJ, 1999. Oxygen Assessment in Soft Tissue Problem Wounds. Proceedings of the 7th Annual HTNA Scientific Meeting on Diving and Hyperbaric Medicine, Adelaide Australia, 26-29 August 1999, pp 30-31. Sheffield PJ, Dietz D, Posey KI, Ziemba TA, Bakken B. Use Of Transcutaneous Oximetry And Laser Doppler With Local Heat Provocation To Assess Patients With Problem Wounds. In: NM Petri, D Andric, D Ropac (eds), Book of Proceedings, 1st Congress of the Alps-Adria Working Community on Maritime, Undersea, and Hyperbaric Medicine. Split, Croatia: Croatian Maritime, Undersea and Hyperbaric Medical Society of Croatian Medical Association, 2001:341-344. Sheffield PJ. Equipment and Chamber Related Incidents: HIMS Fire Risk Database. In: Mueller P, Pirone C, Barach P (eds), Proceeding Of UHMS Workshop: Patient Safety; Prevention And Treatment Of Complications In Hyperbaric Medicine, Kensington, MD: Undersea & Hyperbaric Medical Society, 2002; 153-158. Fife CE, Buyukcakir C, Otto GH, Sheffield PJ, Warriner RA, III, Love TL, Mader JT. The Predictive Value Of Transcutaneous Oxygen Tension Measurement In Diabetic Lower Extremity Ulcers Treated With Hyperbaric Oxygen Therapy: A Retrospective Analysis Of 1144 Patients,. Wound Rep Reg 2002;10: 198-207. Sheffield PJ, Smith APS. Physiological and Pharmacological Basis of Hyperbaric Oxygen Therapy. In: Hyperbaric Surgery: Perioperative Care. DJ Bakker, FS Cramer (eds), Flagstaff AZ: Best publishing, 2002: 63-109. Sheffield PJ, Hewitt M, Sheffield RB. Fire Risk in Hyperbaric Facilities: Could Oxygen Pooling Be A Factor? Proceedings of the XIV International Congress on Hyperbaric Medicine. Flagstaff AZ: Best Publishing, 2003: 305-311. Sheffield PJ, Sheffield JC. Complication Rates For Hyperbaric Oxygen Therapy Patients And Their Attendants: A 22-Year Analysis. Proceedings of the XIV International Congress on Hyperbaric Medicine. Flagstaff AZ: Best publishing, 2003: 312-318. Sheffield PJ, Vann RD. Flying After Recreational Diving Workshop Proceedings, May 2, 2002. Durham NC: Divers Alert Network, 2004. Sheffield PJ. Nature of Safety Decisions. In: Flying After Recreational Diving Workshop Proceedings, May 2, 2002. In: Sheffield PJ, Vann RD (eds), Durham NC: Divers Alert Network, 2004; 83-85. Sheffield PJ. Flying After Diving: A Historical Perspective. In: Flying After Recreational Diving Workshop Proceedings, Sheffield PJ, Vann RD (eds), Durham NC: Divers Alert Network, 2004, 16-19. Sheffield PJ, Smith APS, Fife CE (eds). Wound Care Practice. Flagstaff, AZ: Best Publishing, 2004. Sheffield PJ, Sheffield RB. Hyperbaric chamber fires: a review. In Proceedings of the XIII International Congress on Hyperbaric Medicine. Flagstaff AZ: Best publishing, 2004; 75-80. Sheffield PJ, Fife CE (eds). Wound Care Practice, 2nd Ed. Flagstaff, AZ: Best Publishing, 2007. Dietz DA, Sheffield PJ. Non-Invasive wound assessment tools. In: Sheffield PJ, Fife CE (eds), Wound Care Practice, 2nd Ed. Flagstaff, AZ: Best Publishing, 2007; 129-174. Pruneda RC, Sheffield PJ. Development Of A Comprehensive Wound Center. In: Sheffield PJ, Fife CE (eds), Wound Care Practice, 2nd Ed. Flagstaff, AZ: Best Publishing, 2007; 1107-1132. Sheffield, PJ. Role of Oximetry in Evaluating Soft Tissue Problem Wounds, Syllabus of UHMS Precourse: Transcutaneous Oximetry: Art, Science and Practice, Maui, Hawaii, 13 June 2007. Sheffield PJ. Significant events of 24th President of UHMS, Aug 1990- June 1991. In: Chandler, DR Undersea and Hyperbaric Medical Society 1967 – 2007: A history of 40 years. Durham NC: UHMS, 2007. Fife CE, Buyukcakir C, Otto G, Sheffield P, Love T, Warriner R. Factors influencing the outcome of lower extremity diabetic ulcers treated with hyperbaric oxygen therapy. Wound Repair Regen 2007; 15(3): 322-331. Sheffield PJ, Dietz D, Posey KI, Sheffield JC, Bakken B. Mean PtcO2 values as an outcome predictor in hyperbaric oxygen treatment of hypoxic wounds. UHM 2008, 35(4) 272 Abstract D66. Sheffield PJ, Role of tissue oximetry in assessment of problem wounds, Proceedings of the 16th International Congress on Hyperbaric Medicine, Beijing, China, October, 2008. Sheffield PJ, Sheffield RB. Safety First: In the Hyperbaric Environment. Today’s Wound Clinic, HMP Communications, LLC, Fall 2008; 24-28. Shah JB, Ram DM, Fredrick E, Otto GH, Shefﬁeld PJ. Determination of ideal PtcO2 measurement time in evaluation of hypoxic wound patients. Undersea Hyperb Med 2008; 35:41-51. Fife CE, Smart Dr, Sheffield PJ, Hopf HW, Hawkins G, Clarke D. Transcutaneous oximetry in clinical practice: consensus statements from an expert panel based on evidence. UHM 2009:36(1):43-53. Sheffield PJ. Hyperbaric Medicine Education, Pressure, Jan/Feb 2009, 6-7. Sheffield PJ. Women Combat Pilots. In: Fife CE, St. Dowse M. (Eds) Women and Pressure. Flagstaff, AZ. Best Publishing, 2010: 341-352. Sheffield PJ. Altitude Decompression Sickness Among US Air Force Academy Cadets: A Historic Perspective, UHMS ASM, 2011 (Invited presentation). Shah, JB, Sheffield PJ, Fife CE. Wound Care Certification Study Guide, Flagstaff, AZ: Best Publishing, 2011. Sheffield PJ Sheffield RB, Sheffield JC. Review of Recent Clinical Hyperbaric Chamber Fires (1992-2011), UHMS ASM, (Abstract E86). UHM 2012:1014-15. Sheffield PJ. Education Committee Overview: Sheffield announces retirement after serving as chair 1994-2012, Pressure July/August 2012: 22-26. Sheffield PJ. Hyperbaric chamber fires: To what extent is the problem? In: Workman WT (ed). Hyperbaric Facility Safety: A Practical Guide. Best Publishing, 2015 (In press). Shah, JB, Sheffield PJ, Fife CE. Wound Care Certification Study Guide, 2nd Ed., North Palm Beach, FL: Best Publishing, 2015 (in press).